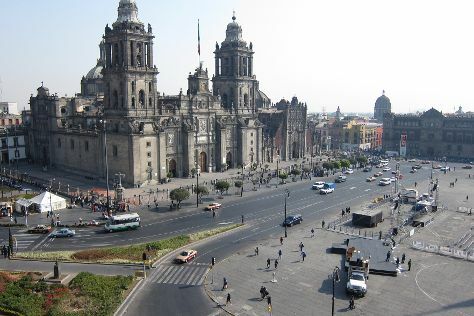 Museum-lovers will appreciate Templo Mayor Museum and Frida Kahlo Museum. Eschew the tourist crowds and head to Sian Ka'an Biosphere Reserve and Archaeological Zone of Xochicalco. There's lots more to do: take a stroll through San Angel, explore the world behind art at Palacio de Bellas Artes, contemplate in the serene atmosphere at Basilica de Santa Maria de Guadalupe, and steep yourself in history at Chapultepec Castle. To find where to stay, other places to visit, maps, and other tourist information, read our Mexico City trip generator. If you are flying in from Puerto Rico, the closest major airports are Licenciado Benito Juarez International Airport, Licenciado Adolfo Lopez Mateos International Airport and Querétaro Intercontinental Airport. August in Mexico City sees daily highs of 28°C and lows of 16°C at night. Cap off your sightseeing on the 30th (Wed) early enough to travel back home.